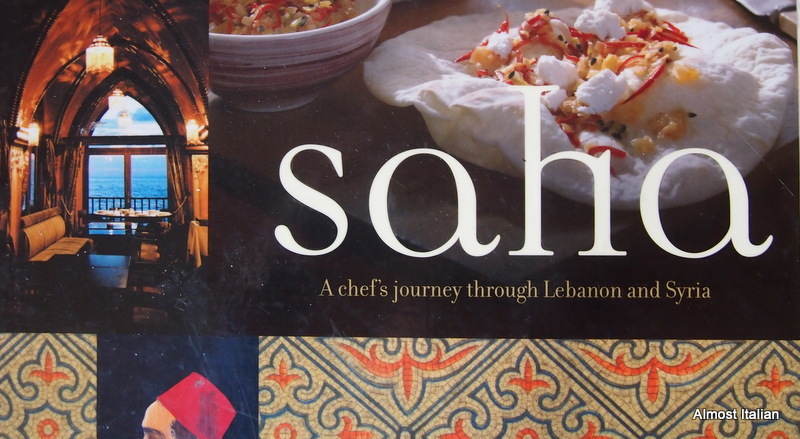 Saha, by Greg and Lufy Malouf. It was a lucky find. I was cleaning out the freezer in anticipation of the bounty that late Spring and Summer provides, when I found a small packet of frozen calamari. This buried treasure was still within the realms of short term memory, unlike many of the other odd frozen parcels, which became treats for ‘el chooks’ (the chickens). As the rest of the ingredients were on hand, it was time to attempt Greg Malouf’s Crunchy Fried Calamari and Tahini Remoulade from the cookbook Saha. Although the total recipe appears to have a long list of ingredients, it is really quite simple. 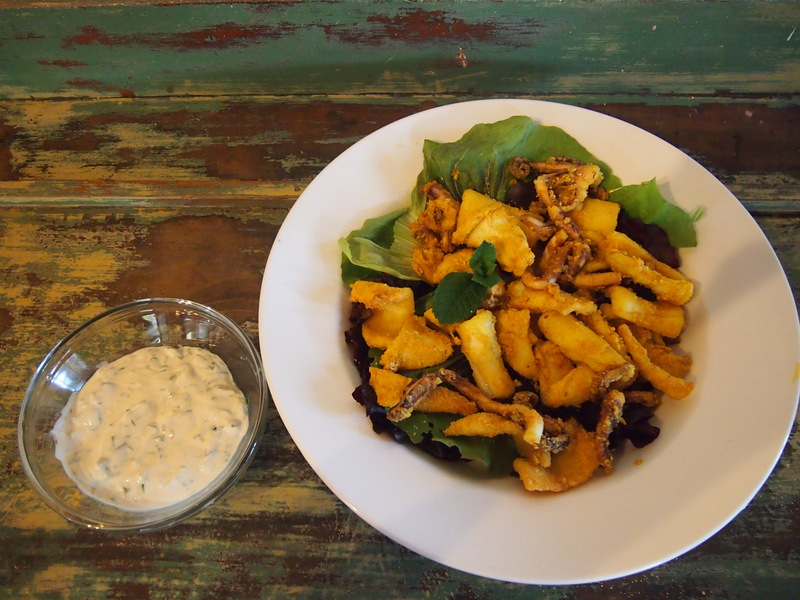 The recipe is divided into steps: make the spice mix, then the remoulade, then the crunchy topping and finally the quick fry of the calamari. 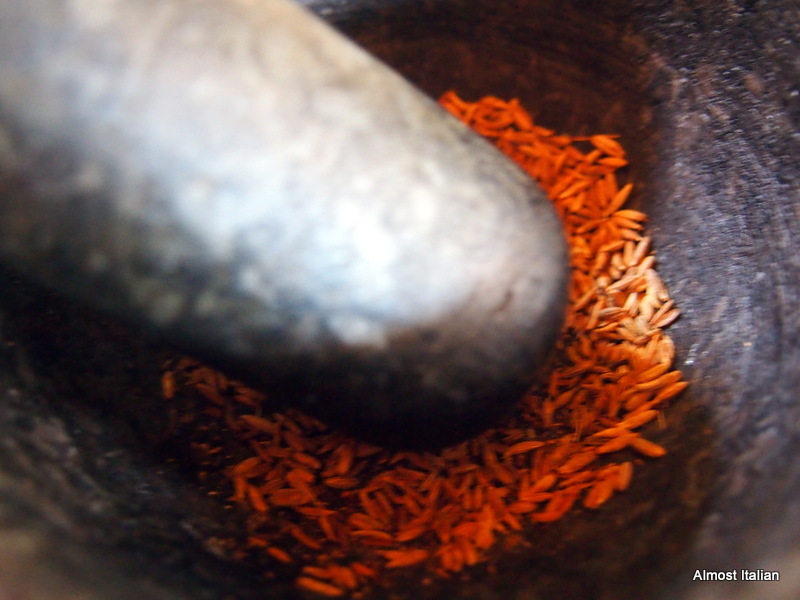 The Golden Spice Mix comes from the first chapter of Malouf’ s Saha with recipes for cumin salt, fragrant salt, paprika oil, taklia – a garlicky spicy topping- baharat, and a spicy marinade. Mix together and store in a jar for up to 6 months. Combine the yoghurt, tahini, garlic and lemon juice in a bowl and whisk together thoroughly. Add the remaining ingredients and stir well. The Calamari, Cooking and Assembling. Prepare the crunchy coating by sieving all the ingredients together. Season the calamari pieces then dunk them into the crunchy coating mixture. Put the calamari pieces into the sieve to shake off any extra coating. 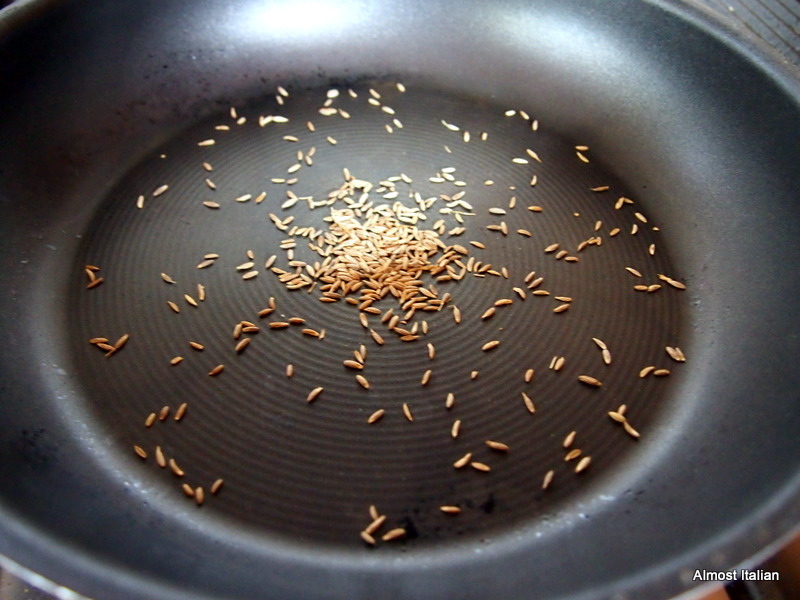 Heat the oil in a large frying pan until nearly smoking. Add the calamari pieces in batches, shaking the pan to coat them with the oil and to colour them evenly. They should take less than a minute to cook. 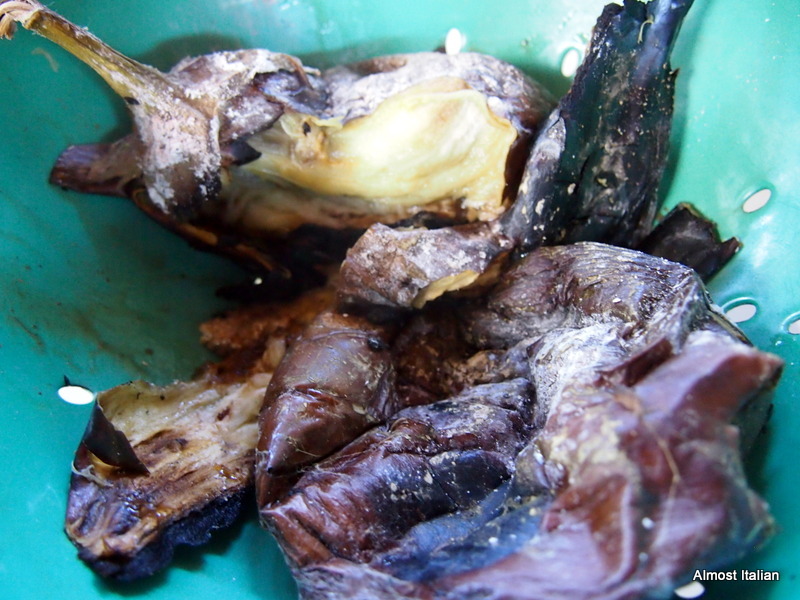 Remove from the pan and drain on kitchen paper. 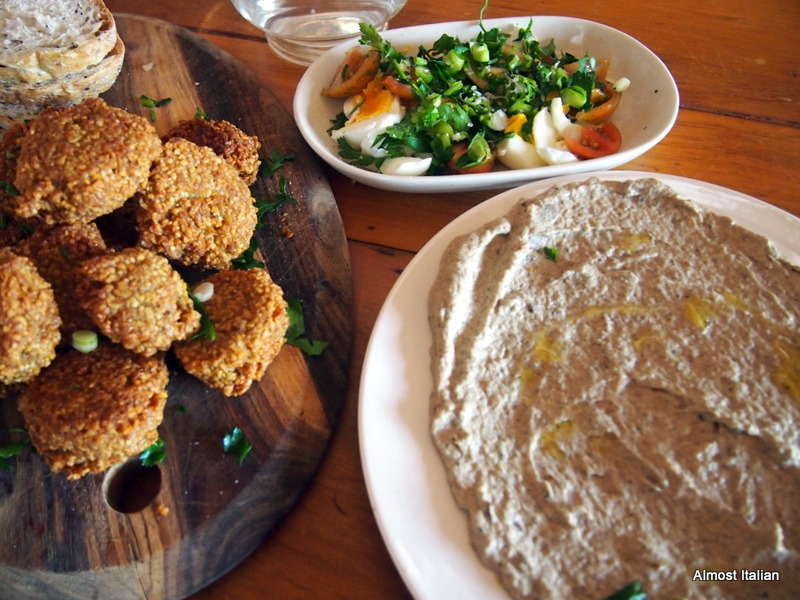 Serve them piping hot with lemon wedges and the Tahini Remoulade. 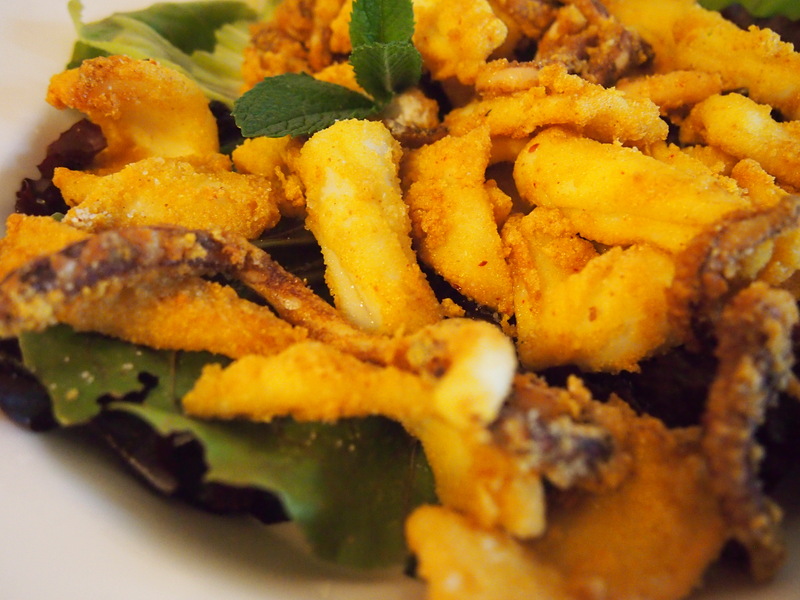 *I used larger calamari and cut them into small pieces. This would work well with any shape you decide to cut. I also used the tentacles. 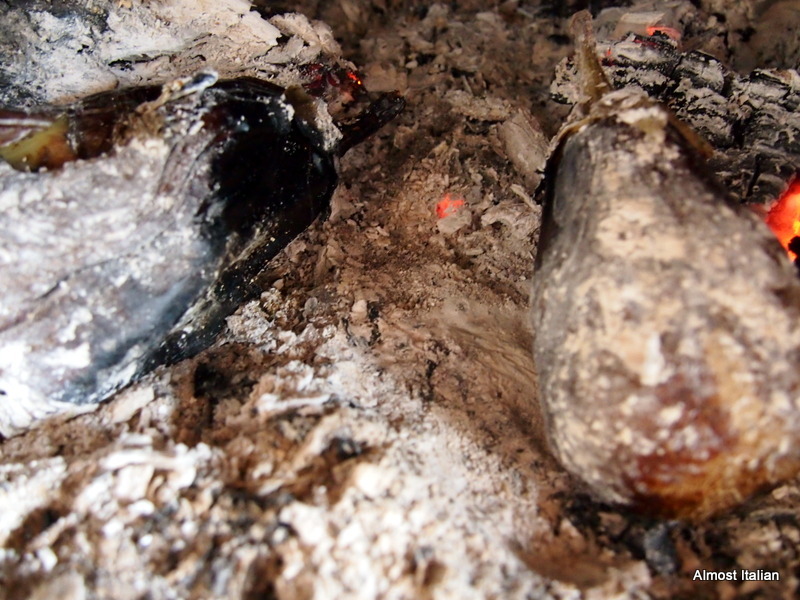 * The coating would be handy for many other small fry, although a sticking agent, such as a beaten egg or some milk, would help the coating adhere to flathead fillets. Calamari has enough of its own ‘glue’. * The tahini remoulade is a winner. This sauce is far more appealing than the common place tartar based on mayonnaise. I will be using this in future. I used more capers than suggested in the recipe. Thanks Leah, of the Cookbook Guru, for encouraging me and others to cook from a nominated cookbook, taking us away from our comfort zone!